OPPO F9 Price and Launch With Waterdrop Notch. OPPO F9 Price and Launch. China's smartphone maker Oppo has launched its new mid-range smartphone Oppo F9 price in Vietnam and the Philippines. The smartphone has a water drop display design. Earlier, the company's Oppo F9 smartphone was given a similar notch. Oppo F9 is powered by MediaTek Helio P60 SOC and comes with two different RAM variants. With the F9, nowadays in rumors for the preparation of the launch of Oppo F9 Pro. While the F9 Pro is ready to be launched in India on August 21, the specifics of the upcoming handsets have now emerged through the sale pitch note. saying of specifications, Oppo F9 has a 6.3-inch Full HD + display, whose resolution is 1080x2280 pixels. The aspect ratio of the screen is 19: 5: 9. Corning Gorilla Glass has been provided to protect the display. The smartphone has the Octa-Core MediaTek Helio P60 processor. The phone runs on Android 8.1 Oreo optimize with ColorOs, which is the company's skin above. Oppo F9 will have 4 GB RAM and 6 GB RAM option. Inbuilt storage is 64 GB. The phone's storage can be increased through a microSD card of up to 256 GB. The device supports dual-sim functionality and has a fingerprint sensor on the rear. For capturing images and recording videos, the smartphone has a dual rear camera setup that includes a 16-megapixel primary sensor along with a f/1.8 aperture and a 2-megapixel secondary sensor paired with a f/2.4 aperture, alongside an LED flash. There is also a 25-megapixel sensor along with a f/2.0 aperture The phone comes with Sony IMX 576 sensor 25-megapixel selfie camera that comes with AI touch. The smartphone has a 3500 mAh battery, which supports the VOOC flash charge fast charging technology. The dimensions of the phone are 156.7x74x7.9 millimeters. It has 4G VoLTE, 3G, Wi-Fi, Bluetooth and GPS connectivity features. Let us know that Oppo recently launched the F 17 smartphone in China. It is the world's first smartphone that comes with Corning Gorilla Glass 6. Oppo R17 has Qualcomm Snapdragon 670 processor and 8 GB RAM. The device has 128 GB inbuilt storage and it can be extended through the MicroSD card. OPPO F9 Price and Availability. 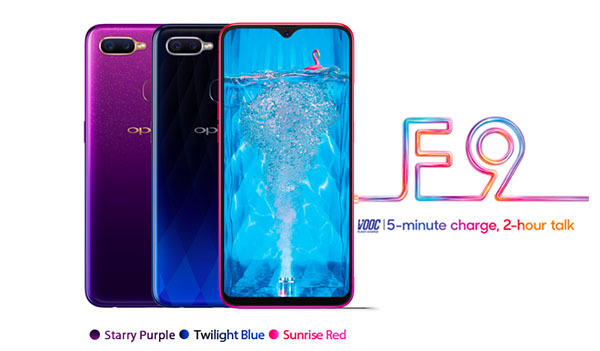 Oppo F9 Sunrise Red, Twilight Blue and Stary in Purple Color. The company has a price of 4 GB RAM variant of 76,90,000 Vietnamese dong (around Rs 23,290). The price of 6 GB RAM variants has not yet been disclosed. The smartphone is expected to be launched in India on August 21 next week. To get clarity around the specifications of Oppo F9 Pro, we have to wait until August 21. The company can also reveal the price and availability of new smartphones in the program on August 21 in India. Facebook will broadcast Live Liga game in eight countries in Asia, including India. Facebook will stream Spain's famous football game La Liga to India and other countries of Asia. According to a special deal announced earlier in the day, the game lover of India, Afghanistan, Bangladesh, Bhutan, Nepal, Maldives, Sri Lanka and Pakistan will be able to watch every game of La Liga for the next three seasons. Facebook has failed in its efforts to operate in China in the recent past. Apart from this, its popularity has also decreased in the last two years. In such circumstances, getting the right to broadcast La Liga has come as a relief to the social media giants. Facebook will broadcast La Liga games in eight countries. This is the first Facebook deal with a big soccer league. This is a three-year agreement under which Facebook will broadcast the Spanish League in eight countries including India, Sri Lanka, and Pakistan. As a serious player in World Sport, this entry will work to increase its users. The purpose of Sports live-streaming Facebook. Facebook was trying big deal deals for several days. Earlier this year, social media giant brought Eurosport Chief Executive Executive Peter Hutton to success in getting live-streaming deals internationally. Even Facebook gave $ 600 million to try to get the deal to stream the Indian cricket match. But he could not win this deal. These deals are Rupert Murdoch's 21st Century Fox Inc. Achieved in $ 2.55 billion. At the end of this week, Facebook will begin broadcasting the Serie A and La Liga matches of Italy under a deal with Eleven Sports. The broadcaster and the rights holder of this sport have made deals with social media giants shortly before. Facebook will get lost popularity from the La Liga deal. Nowadays the atmosphere for Facebook is a little fragile. Social media giants have lost half of the traffic in the past two years. Only in the last month, its traffic has dropped from 8.5 billion every month to just 4.7 billion. 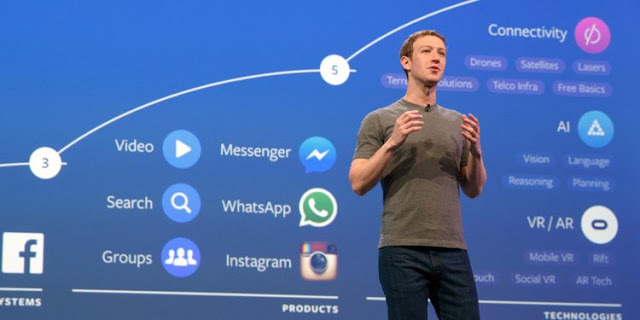 This reduction is due to controversy related to Facebook's personal data. These disputes have been shrouded like a dark cloud on Facebook for the past two years. Cambridge Analytical Controversy has provoked a lot of public anger for people's trust in Facebook. The company's stock has also dropped in the past few weeks. Well, this can not be a big concern for Facebook, which has a large number of users in its affiliates. Instagram and WhatsApp are still the most popular platforms. And now with the help of sports in hand, Facebook has decided to get back the lost popularity. According to a report, Facebook is the most popular website in the US, while YouTube is on the second number. But in the report, it has also been said that it can take YouTube instead. Youtube's traffic is growing wildly. This video streaming site by Google added a lot of subscribers last year. Nowadays, YouTube celebrities do not have a lower status than a movie star. If YouTube's traffic continues to grow at this speed, then by the end of this year YouTube can replace Facebook. At the moment, Facebook is struggling to get its traffic back. Soccer deal can prove to be a boon for this. Let's see if Facebook emerges as a strong player in sports-broadcaster games or not. Moto P30 Launched: Price and specification | Moto Z3 and Budget Phone Moto E5 Plus also came along. Moto P30 Launched: Price and specification. Lenovo's proprietary Motorola has launched its flagship Moto Z3 and budget phone Moto E5 Plus in China. Along with these two phones, the company also introduced Moto P30, which is the main attraction of the launch event. Explain that the company has already introduced Moto Z3 and Moto E5 Plus outside of China. Speaking of the Moto P30, it is the first smartphone of Motorola's new series, which features a special display of Nokia. The key feature of the phone is that it looks like an iPhone X and has an 18.7: 9 aspect ratio display. The Moto P30 smartphone has a glass back. The phone runs on Android 8.0 oreo-based custom ZUI 4.0. Along with that, the company has also disclosed the name of those handsets which will get Android Pie updates. Let's know about the device in detail. Moto P30: Price and Availability. Moto P30's 6 GB RAM 64 GB storage variant is priced at 2,099 Chinese Yuan (around Rs 21,400). At the same time, 6 GB RAM and 128 GB storage variants will be available in 2,499 Chinese yuan (around Rs 25,400). Smartphones will be available in Aurora Blue, Black and White color variants in China from September 15. There is no information about the launch of phones in other markets outside of China. In the case of design, the Moto P30 looks like Apple's iPhone X. There is a broad knock on the front of the smartphone and there is a vertical dual camera setup on the rear. The P30 has a 6.2-inch Nauté Display with 2246 x 1080 pixels full HD + resolution and an aspect ratio of 19: 9. The phone has a ceramic body and 2.5D glass on both sides. It powers the device Qualcomm Snapdragon 636 octa-core processor with 6 GB of RAM. It comes in two storage options of 64 GB and 128 GB. A micro SD card slot is also present which can be extended to 256 GB. Motorola says that to ensure a smooth gaming experience, the phone uses AI-powered graphics acceleration technology. For photography, the Moto P30 has a 16 MP + 5 MP rear dual camera setup. This setup is equipped with F / 1.8 aperture, AI Portrait mode, Scene Recognition, AR mode and LED flash. The front has a 12-megapixel sealer camera that holds AI-powered portrait mode and beauty features. The phone supports Face Unlock via front camera. Also, the P30 has a rear-mounted fingerprint sensor, which is inserted in the Moto logo behind. Nano coating has been given to make water registers, like many other Moto phones. For connectivity, features like 4G VoLTE, Dual-band Wi-Fi 802.11 AC, Bluetooth 5.0, USB Type-C and 3.5mm headphone jack have been provided in the Moto P30. The phone has given an accelerometer, ambient light sensor, gyroscope, electronic compass, proximity sensor and fingerprint sensors. The dimensions of the phone are 155.5x75.95x7.69 millimeters and weighing 170 grams. These Moto smartphones will get Android Pie updates. Motorola has confirmed which smartphone company's latest Android pie software update will be available. This list includes Moto Z3, Moto Z3 Play, Moto Z2 Force Edition, Moto Z2 Play, Moto X4, Moto G6, Moto G6 Play and Moto G6 Plus. Reliance jio new Gigafiber broadband launch and registration is open. any people are excited this broadband so read this article. 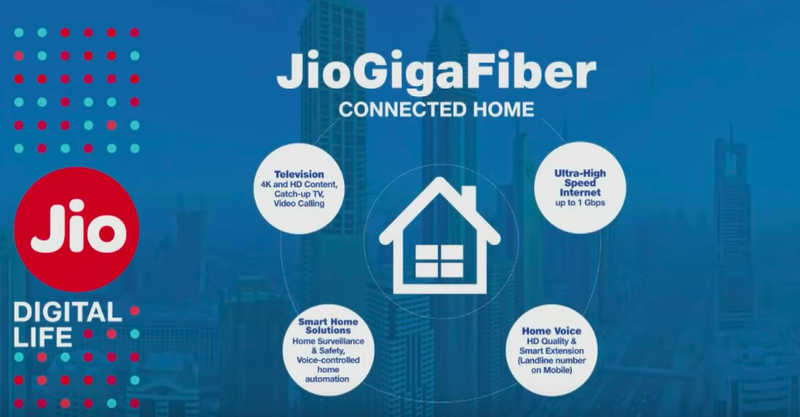 how to register for jioGigafiber broadband. 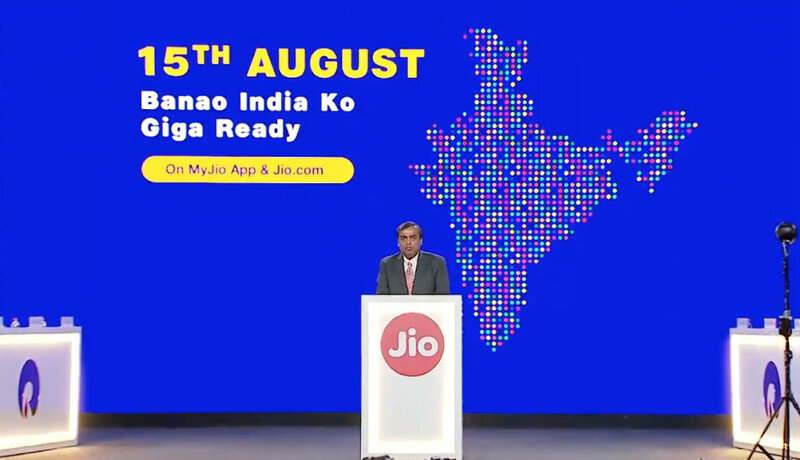 Registration for Reliance Jio GigaFiber starts on August 15, Wednesday. Customers interested in receiving Jio GigaFiber broadband service can register for Jio GigaFiber (Fiber-to-the-Home) broadband service. Through Jio GigaFiber, customers will enjoy one place with services like broadband, IPTV, landline, virtual reality gaming. Let's say that for the first time, Mukesh Ambani proprietary rights issue is entering the broadband market. Beta testing is going on in many cities for the past few months for Jio GigaFiber. For the broadband service of Jio GigaFiber, the city will be the first to start this live service in the city where the maximum registration will be done. Learn All About Jio GigaFiber. Registration for Reliance Jio GigaFiber starts August 15. Registrations for Jio GigaFiber are starting Wednesday. But this does not mean that if you register, you will get the service. It is important that you get maximum registration for service in your city or area. The company has already made it clear that for the Jio GigaFiber where most registrations will be met, those places will be given priority. Jio claims that the company wants to provide fiber connectivity to homes, businessmen and small and large businesses in 1,100 cities. For registration for the jio GigaFiber Broadband service, you will have to go to the My jio app and Jio.com. No charge is being taken for registration and it is free. Users must also give their names, addresses, email accounts and other information. Reliance Jio GigaFiber Potential Plans. However, jio has not yet disclosed plans for the GigaFiber service. But media reports have shown that plans for jio GigaFiiber can start with the initial price of Rs 500 per month. In a report from the Economic Times, it has been claimed that the cheapest plan for jio broadband service will be Rs 500. It is almost 50 percent cheaper than the broadband services offered by other telecom companies. In addition, if users want to use the broadband service they will have to pay a one-time securities deposit of 4,500 rupees. Under testing, users get 100 GB data for 90 days with 100 Mbps speed. Reliance jio Gigafiber All-In-One Service. Those users who subscribe to jio Gigafiber will also get Aux of Router and jio Gigafiber Writer is designed to provide high-speed internet connectivity with speeds of 1Gbps. The second service is a set-top box, named jio Gigafiber. More than 600 channels, thousands of movies and millions of songs will be enjoyed with the set-top box. This is a 4K-Ready Streaming Box that comes with a remote control so that any content can be searched through voice commands. The company's intentions with Reliance Jio GigaFiber also include Entry in Smart Home Market. The company plans to sell Smart Cameras, Smart Bulbs, IR Blasters, Smoke Detectors, TV Cameras, Video Dangles and other gadgets. Geo claims that all these connected accessories can be controlled with the My Jio app. It has been claimed in the report of ET that Reliance jio Gigafiber may start before Diwali. The company plans to roll out the Gigafiber roll out in 80 Metro cities of Tier 1 and Tier 2. It has also been said in the report that the availability of jio Gigafiber will be granted on the basis of registration. Lenovo Z5 launch and price in India. 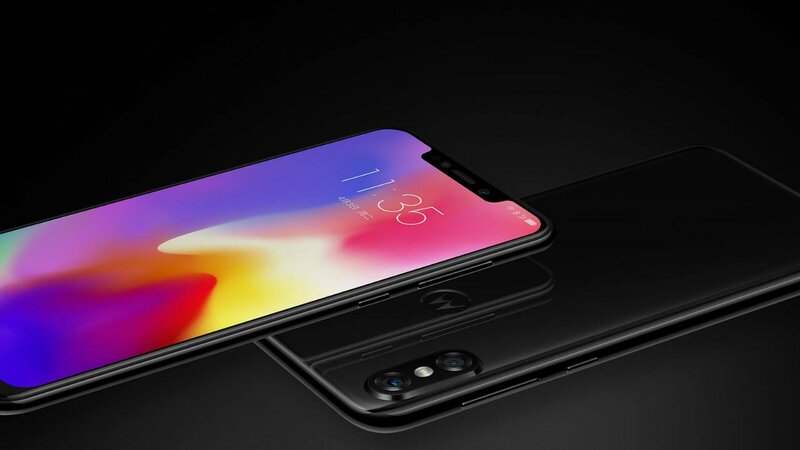 Lenovo company has launched its new mid-range phone, the Lenovo Z5, globally in China. We will get more in this mobile, the handset features latest octa-core Snapdragon 636 processor, 19:9 screen aspect ratio display with a notch, and runs on the latest Android platform - Oreo (v 8.1). 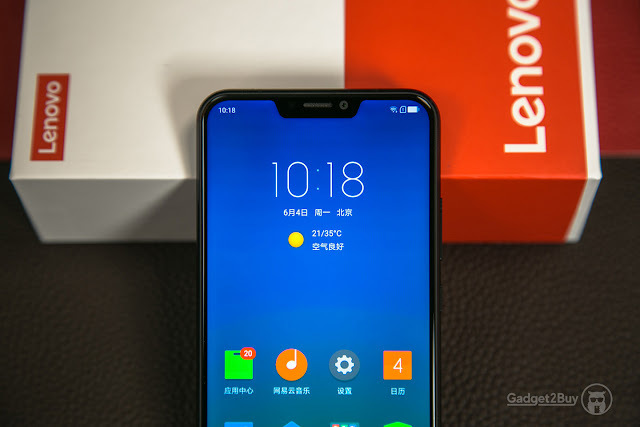 Lenovo Z5 in Chinese market starts at 1,399 Chinese yuan (about 14,700 Indian rupees). expected price 16000 in India. The price is of 6 GB RAM and 64 GB of storage variant. of 6 GB Variants RAM and 128 GB storage will be available in China in 1,799 Chinese yuan (around Rs 18,900). The pre-order booking of smartphones has started and its delivery will begin on June 12. At present, nothing has been said about launching this handset in India. 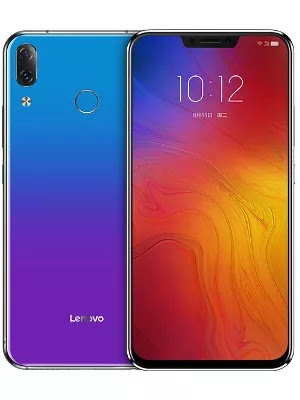 Lenovo Z5 comes with Dual SIM runs on ZWi 3.9 based on the Lenovo Z5 Android 8.1 Oreo. It has a 6.2-inch full-HD + (1080x2246 pixels) IPS display. Its aspect ratio is 18.7: 9 and the top 2.5 d of the curved glass has been used. The handset has an octa-core Qualcomm Snapdragon 636 processor. It has 6 GB of RAM with it. The battery is 3300 mAh and it supports fast charging. Now talk of the camera department. The Lenovo Z5 has a 16-megapixel primary rear sensor. With it, there is an 8-megapixel sensor. Their position is like a dual camera setup like the iPhone X. They come with AI capacities, HDR + 4K support, F / 2.0 aperture and LED flash. The front panel has an 8-megapixel sensor with F / 2.0 aperture. This allows video of full-HD resolution to be recorded. There are two options for inbuilt storage - 64 GB / 128GB Both variants will support MicroSD card up to 256 GB. Huawei Honor Play Launch Date Price And Specifications. Honor has launched its latest smartphone Honor Play in India on Monday. The company presented the phone to people in an event held in Delhi. Honor play has been launched in two variants of 4 GB RAM and 6 GB RAM. The phone can be purchased from Amazon India site and Honor store from 6 August at 4 am. In India, the price of Variant with 4 GB RAM of this device has been priced at Rs. 19,999 and variant of 6 GB RAM, 23,999. The phone has been launched in midnight black and navy blue colour. This phone is equipped with GPU Turbo technology. The company says that this technology increases the performance of the phone by 60%. Let me tell you, Honor play was launched in China in June this year. This device of Dual SIM (Nano) has been given Huawei Oktax HiSilicon Kirin 970 SoC processor. It will work on Android's 8.1 Orio Huawei's All Brand Honor play has a 6.3-inch full HD display of 1080x2340 pixels in this handset. Its aspect ratio is 19.5: 9. It has two variants of 4 GB RAM and 6 GB RAM. Both variants come with 64 GB internal memory. Storage can be extended to 256 GB with the help of micro SD card. Talking about the camera, the dual camera setup is provided in the rear of the Honor play, in which the primary camera is 16 megapixels and the secondary camera is 2 megapixels. The phone's camera has many features such as Face Detection Auto Focus (PDAF), LED Flash. For Selfie, it has a 16-megapixel f / 2.0 aperture front camera. Honor play is basically Nova 3 which was launched in India August 6 but with some changes. Both phones have 6.3 inches, 2340x1080 IPS display, kirin 970 chipset and 3750 mAh battery. Honor Play has 64 GB of storage, while Nova 3 has 128 GB. 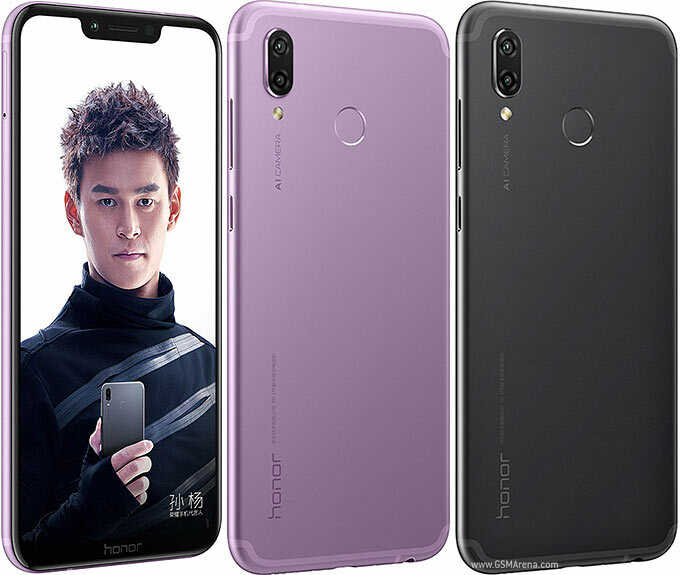 If you look at the design, then they are very similar again, except that the Honor Play is made of aluminium, while Nova is out of 3 glasses. We expect that Huawei will launch a combination of the same permutation and hardware parts under a different name. Samsung Galaxy Note 9 price, release date and other news. Samsung's upcoming flagship Samsung Galaxy Note 9 price promotional poster has been leaked and the poster has also revealed the price of Samsung Galaxy Note 9. Let's say the launch of the Samsung Galaxy Note 9 is scheduled to be held in New York on an event called Unpacked on August 9. 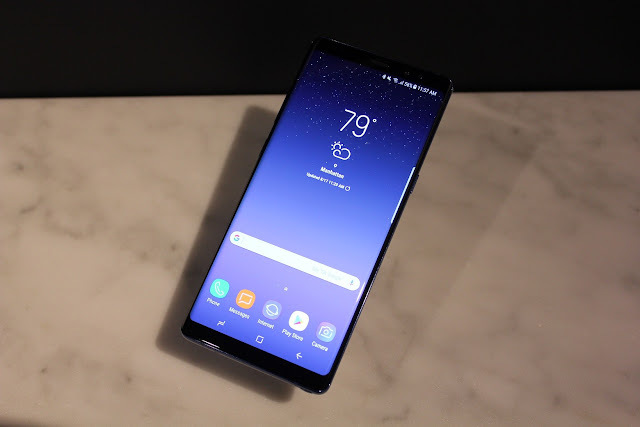 Before the launch, many features of the phone have been leaked, while the new leaks have now received information about the price of the Galaxy Note 9. In the new Leak Report, the promotional poster of Samsung Galaxy Note 9 has been shown. It is also seen that pre-order for the phone has begun in Indonesia. The Samsung Galaxy Note 9 is priced at IDR13,5 million i.e. about $ 940 i.e. about 64,554.50. At the same time, the variant of its 512 GB storage will cost $ 1,215 i.e. around 83,415.82. If leaked reports are considered, then the Samsung Galaxy Note 9 will come in three colour variants, which include Articon Copper, Engineered Blue and Misty Black. In the poster, it is also visible that Samsung will get the phone as a smart TV gift. Samsung Galaxy Note 9 other Feature. The phone can be up to 8 GB of RAM and up to 512 GB of storage, although the variant with 512 GB storage is available in a few markets. The phone will have a dual rear camera and it can get a fingerprint sensor right below it. The phone will get Android 8.1 Orio and 4000mAh battery. Samsung Galaxy Note 9 Screen. According to the leaked report so far, considering the features of Samsung Galaxy Note 9 comes with 6.4-inch 18.5: 9 aspect ratios with a resolution of 2960 x 1440 screen. The company will offer its in-house super AMOLED display on this phone. Additionally, users will have the option to reduce the resolution of the display and save the battery. Samsung Galaxy Note 9 Processor. Apart from this, Qualcomm Snapdragon 845 will be available in the Samsung Galaxy Note 9, while in some markets this phone will be loaded with In-house Exynos 9810 processor. According to the media news, the Qualcomm Snapdragon 845 processor will be released in Galaxy Note 9, which will launch in the US and China. In other markets, the handset will be offered with the company's Acqunos processor. The dual rear camera setup on the Samsung Galaxy Note 9 is expected to bear two 12-megapixel sensors with a variable aperture of f/1.5-f/2.4 and slow-motion recording up to 960FPS. On the front, it will get an 8-megapixel selfie camera with autofocus. I hope you like this article please share this post with your friends much more mobile information please visit http://www.techargal.co/ thank you.